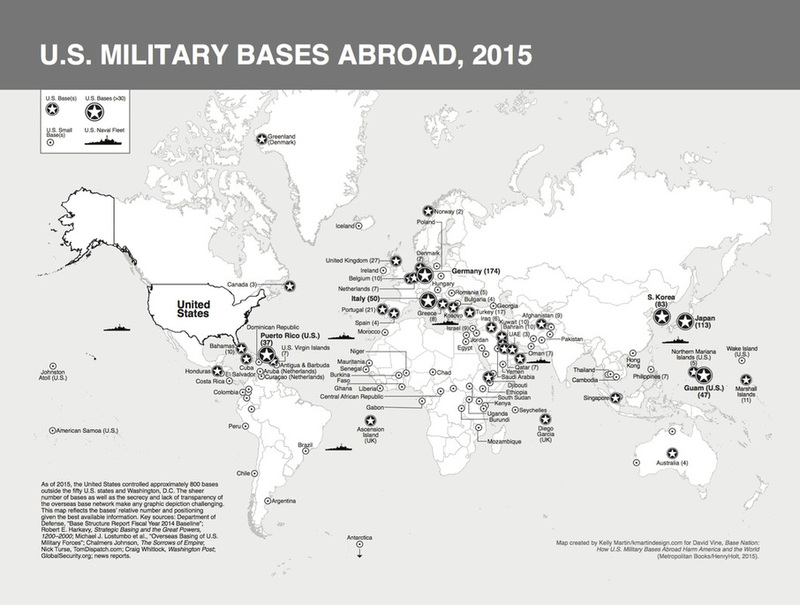 17 Maps of U.S. Military Bases Abroad from "Base Nation"
Map of U.S. Bases Abroad, 2009, from David Vine, Island of Shame: The Secret History of the U.S. Military Base on Diego Garcia (Princeton University Press, 2009). 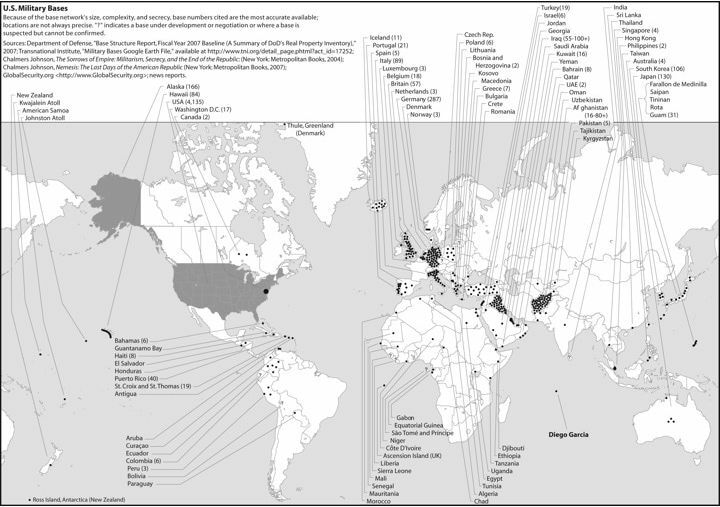 "Mapping the Growth of Military Bases Overseas," Investigative Reporting Workshop, August 25, 2015. "Mapping the Growth of Military Bases in Africa," Investigative Reporting Workshop, August 25, 2015. For my latest list of U.S. bases abroad, see the spreadsheet below or download at http://dx.doi.org/10.17606/M6H599.